Yes, the officer will show up to court and he is doesn’t, it will probably be for a very good reason. Don’t let this be your defense option. Contact me today to see how I can help you. The officer will show up to court. 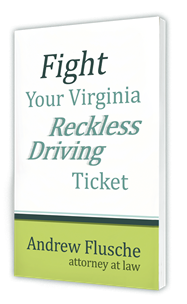 Hi, I’m Andrew Flusche, your Virginia traffic and misdemeanor attorney. I’m always amazed at how often I have to answer the question of: Will the officer be there? What happens if the officer doesn’t come? It’s critical for the officer to be at court for traffic and misdemeanor cases in Virginia, and he’ll be there. It’s the officer’s job. Their job is to enforce the law and to be at court when necessary for cases where people are contesting tickets. In a reckless driving case, for example, where you’re required to appear and have an attorney appear for you, the officer needs to be there as well, and the officer will. Virginia makes it relatively easy for the officers to be at court. We can’t just put the case on whatever day we want that’s convenient for us. We are bound by the officer’s court schedule. Typically, in most jurisdictions in Virginia, the officer has one day per month for each court that they’re in. They’ll have a day or two a month where have to be in court for the majority of their cases. Therefore, if they don’t show up for your case, they’re also missing out on maybe dozens of other cases that would be dismissed if they don’t show up. The judge is not going to be happy about that. The officer will be there. Now I’ve got another video that goes into some details about what happens if the officer doesn’t show up. If he has a good excuse and he’s called ahead or his office is called ahead, the case is probably not going to be dismissed. It’s going to depend upon the judge, though. This is a myth that the officer just won’t show up. The officer will be there. If he doesn’t show up, likely there will be an excuse for some reason and you’re probably going to end up with a continuance. In the rare event that he doesn’t show up and there’s no excuse, then that’s certainly a great motion for a dismissal to have your case completely tossed. If you’re charged with a reckless driving or another traffic ticket in Virginia, definitely contact me so I can help you with the case.